To my way of thinking, when I ask Creation to allow me to walk in Beauty what I’m really asking is to be able to perceive the Beauty. Because the Beauty is always there, everywhere. It is a sacred energy, a holy flame, a divinity raging hotter and more brilliant than the sun and all the stars together, pulsing within every living thing. Every seed and flower and leaf, every living cell, every molecule, every atom, every proton, electron, neutron, quark – whatever there is, and in the dance they are all doing. I have heard the elders, thinking about the old days and the old ways, speak of being warriors for Beauty. Their obligation, their instructions as they understood them, as they had been taught, was to fight for Beauty. To protect and preserve Beauty. Other words elders often use are “balance” and “harmony.” The world in balance is beautiful. To preserve harmony and to maintain balance, we must have them inside ourselves. That is not always so easy in this out of balance and disharmonious culture. When we feel too much of that influence, it is time to separate ourselves for a while from that culture. To spend some time alone in some part of the world uninhabited and undisturbed by men. There we can slow ourselves to the pace of the natural world, quiet our minds with the sounds of the winds, and attune our spirits to the harmony of Creation all around us. The beauty that fill us there gives us strength and a paradigm for our return, a vision to hold in our quest for balance and for Beauty. When we awaken to the call of beauty, we become aware of new ways of being in the world. When we experience the Beautiful, there is a sense of homecoming. We feel most alive in the presence of the Beautiful for it meets the needs of our soul. For a while the strains of struggle and endurance are relieved and our fragility is illuminated by a different light in which we come to glimpse behind the shudder of appearances the sure form of things. In the experience of beauty we awaken and surrender in the same act. Without any of the usual calculation, we can slip into the Beautiful with the same ease as we slip into the seamless embrace of water; something ancient within us already trusts that this embrace will hold us. These times are riven with anxiety and uncertainty. In the hearts of people some natural ease has been broken. Our trust in the future has lost its innocence. We know now that anything can happen from one moment to the next. The traditional structures of shelter are shaking, their foundations revealed to be no longer stone but sand. At first, it sounds completely naive to suggest that now might be the time to invoke and awaken beauty. Yet there is nowhere else to turn and we are desperate. Thanks Judith- I find that it’s only by seeing beauty and creating beauty that I have the courage and strength to work for positive change in the world. I am so honored to be on this journey with you, Mother. So deeply grateful. I’ve shared this post… to my beloved friends here in Native-America . I love your comparisons of these authors. John O’donahue is one of my favorites and I just purchased the other work. I am still delving into IF WOMEN ROSE ROOTED. I enjoy your recommendations. How true these writers are as to ways to live into creation. Hey dear friend. So delighted you are enjoying these posts. And, laughing, so many books I am currently reading…finishing If Women Rose Rooted is on my list for this weekend. Also..will keep you posted on this..what is emerging is a shift in the Sacred Ireland Journeys, at least some of them, to focus on stepping through the portal of being elder wise woman. 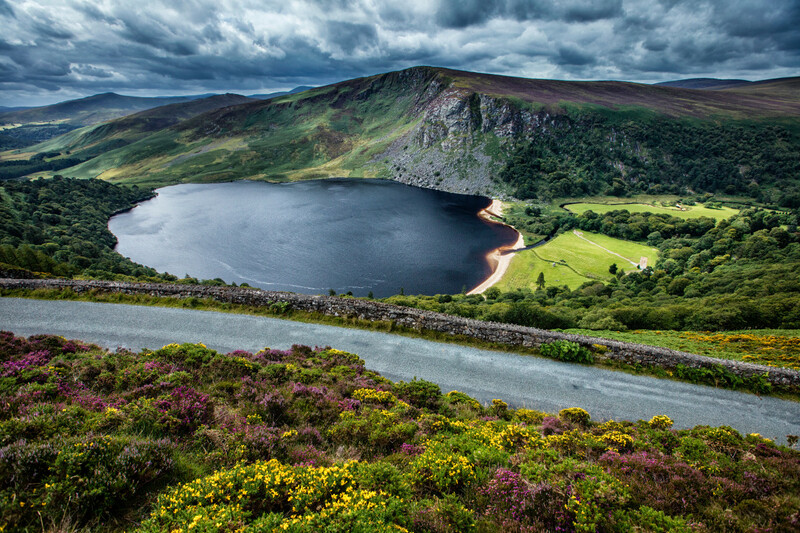 Ireland has so much to offer for that journey. Huge hugs, J.
You’re filling my heart and soul, Judith! Delighted my sister. Of course I have always known you as a woman who totally appreciates Beauty on so many levels.